﻿ Nothart Industry Sectors | Manufacturing| Nothart Engineered Sales Ltd. The Canadian Prairies have a solid Manufacturing base that builds everything from Airplane parts, Agricultural Equipment, Busses, Transformers, produces Chemicals, mixes Fertilizer, makes Concrete, and Asphalt, to name only a few. 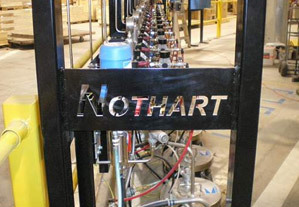 Nothart, takes great pride in being able to be a part of the Prairie culture that produces the amazing variety of products that our Customers with their motivated workforce comes up with, and sends out to the world market on a daily basis. If you are just starting out, or well established, we look forward to being a part of the solution to your Manufacturing challenges. Please contact us, and let s find out together what your options are.